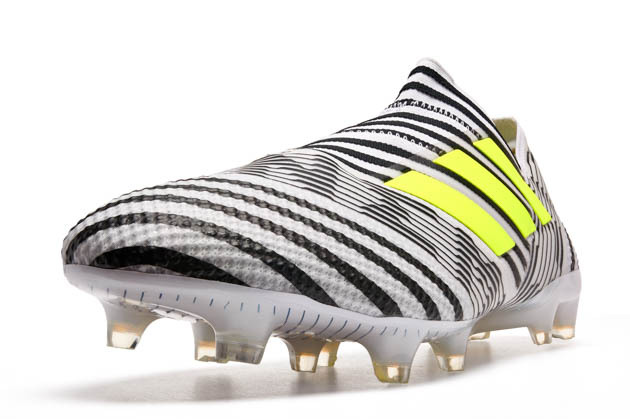 When I first unboxed the adidas ACE 17.1 Primeknit, I noticed that all of the upper elements are extremely similar to that of the laceless ACE PureControl. Of course you do not have the same TechFit enclosure system that gives the ability for the laceless design to work. The upper on this specific colorway does not feature the NSG (Non-Stop Grip) dots, which I found odd at first. Apart from that, the Checkered Black colorway looks beautiful on the ACE 17.1 Primeknit. As an added bonus, you do get a mesh string bag that features both the adidas and ACE branding to help carry your bags to and from the field. With the unboxing and first impressions out of the way, let’s see how I got on with the ACE 17.1 Primeknit. I briefly touched on how well this colorway looks and I can’t say enough about it. Anytime a brand adds on a new element to a normally standard all black colorway, you can normally assume I am going to be a fan. The colorway gives off a shiny upper that gives the appearance of a checkered design that almost looks like a carbon fiber design. The combination of a shiny, sleek finish on a black base allows the colorway to standout. As for the silo itself, the lower cut sock compared to the Nike Dynamic Fit collar gives a more “pro” feel to the level of the collar. From collar to toebox, this boot and colorway are sure to grab everyone’s attention. Here comes the fun part for a boot nerd, talking about the tech specs and how the boots performed for me. Starting off with some tech specs, the upper is made of PrimeKnit in the toebox and a ControlSkin upper on the rest of the shoe. 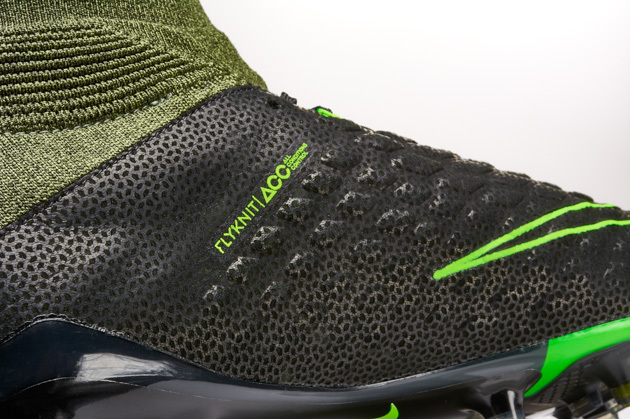 Some might not like that the shoe is not entirely PrimeKnit, but having the ControlSkin in areas that are likely to be less used for controlling the ball will allow the upper to have more stability and longevity. The lacing system has a clever design down on the bottom that goes through three lace holes that will add some stability to the bottom of foot right above the toebox. The tongue is non-existent to give the one-piece upper design and to add more space to have a cleaner touch on the ball. The PureCut control fit collar is made from an exposed knit that sits lower than a Nike Dynamic Fit collar and is thinner. 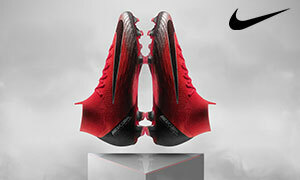 The collar is elasticated to help get your foot in and out of the shoe, but will fit a little bit looser than that of the DF collars on Nike boots. There is even a pull tab on the heel that will help you slide the shoe on with more ease. That doesn’t affect the performance of the shoe whatsoever though so don’t be worried about that. 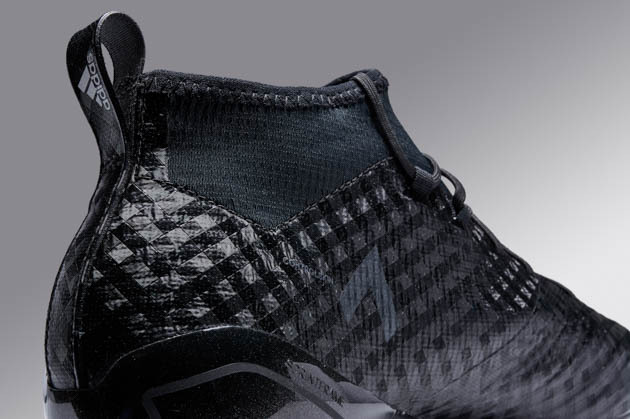 The inside does not feature an inside sock that helps make the PureControl happen without laces, the inside just simply features a synthetic leather liner that will help with comfort. The heel is little bit stiffer than found on most normal low-cut models, but it did not bother me in the slightest. There is an external heel counter that will help keep you locked in by the heel and help some with some crunching tackles from behind. The new Total Control stud alignment is made entirely of conical studs that will allow you to move freely without being stuck in. The soleplate itself is rigid and allows some flexibility in the toebox but will ultimately be stiff. In terms of how I got on with the ACE 17.1 Primeknit, I really enjoy wearing this boot. 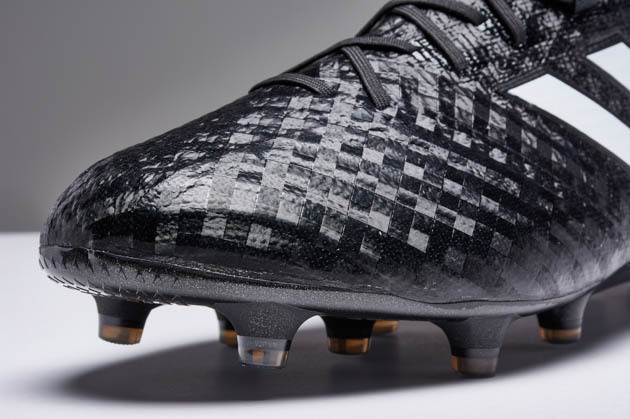 The Primeknit upper is soft after some break in time, but not as soft as some other knitted boots. The lockdown is exactly what is needed in a mid cut-boot and there is no discomfort. Shooting and passing with the 17.1 is clean, simple, and offers no problems to the wearer. 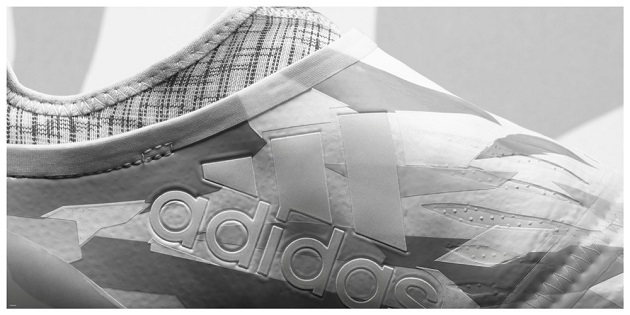 The padding on the inside of the boot is enough that you don’t feel that sting hardly at all after a clean strike. 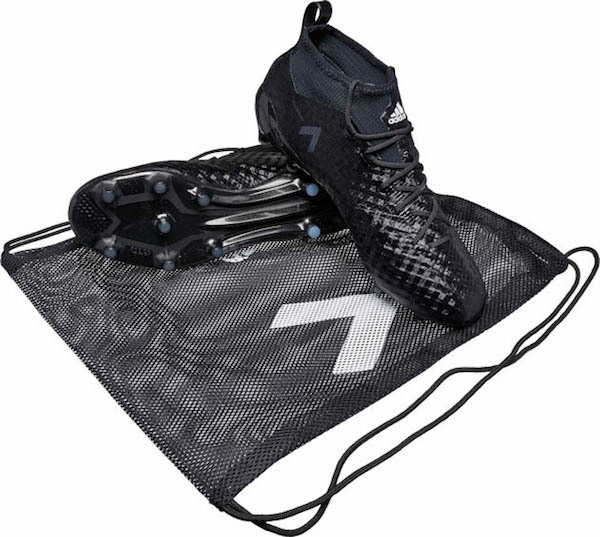 The soleplate allowed me to move freely around the pitch and I found no issues with changing directions, getting stuck in, or the opposite, not getting enough traction. The only complaint I have is that the upper and boot as a whole are rather stiff at first, but that goes away in time. After 2 weeks of intense testing, free kicks, and game play I see no issues with durability on the ACE 17.1 Primeknit and do not anticipate that anytime soon. Overall, this boot is one of the best on the market, and that goes for all brands and types. 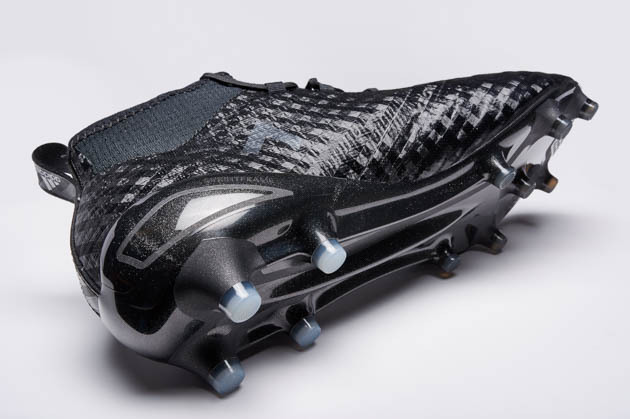 Strikers and goalkeepers can wear this without anyone batting an eye as it is designed to be one of the best cleats around, and let me tell you, it meets that goal. In terms of comfort, I have had zero issues during testing and after I was finished testing. It took me a session to break this in to where I felt they fit me well and ever since I have had no problems. I thought I would experience rubbing or a blister in the heel near the tab, but I never experienced any discomfort. The lockdown and fit is easily one of the best around today. I was able to cut, turn, run and shoot with zero issues of slipping or sliding around. The laces truly do make a difference on this boot and help lock your foot down for the entire time you have them on. If you are worried about having issues with comfort, I believe these will work for you. I have a little wider than average feet and I fit into these boots without issue. Coming in at a full $100 less than the adidas ACE PureControl, it is clear you are going to snag a killer deal. The ACE 17.1 Primeknit is a collared shoe, with a knitted upper in the toebox, and has some solid lockdown, all for under $200. 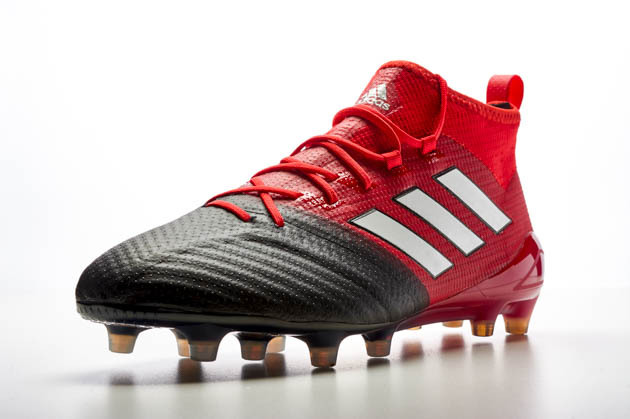 At SoccerPro.com, you can pick these up for even lower at $179.99. If you are looking for a current high-end boot for under $200, give the ACE 17.1 Primeknit some of attention it deserves. Players all over the pitch are opting to wear the laced version of the ACE instead of the PureControl. Mats Hummels and Manuel Neuer lead the way for the ACE 17.1 Primeknit. With the latest update to the upper and fit, many pro players have their own custom PureControl to wear, which makes finding players wearing the laced option a little tougher. When I have to sit here and try and find something that I did not like about a shoe, that usually means I really enjoy it. It absolutely feels like a high-end shoe for me. It feels solid, while allowing a soft upper, a 360 touch, and a lock down fit and feel. 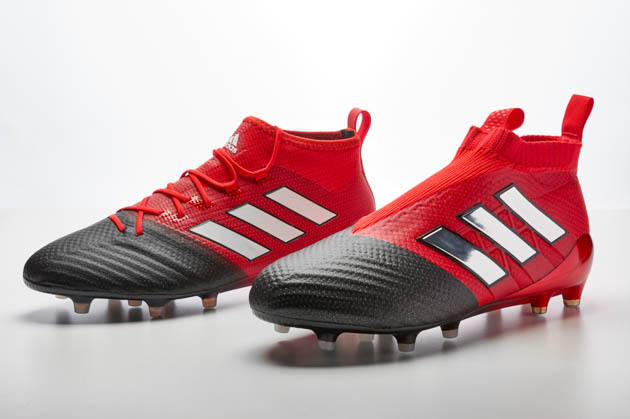 If you were looking for a top boot for $100 less than the laceless option, look no further than the adidas ACE 17.1 Primeknit. An early contender for one of my favorite boots of 2017.